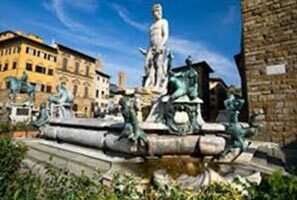 Magic of Italy is most sale able package in this package one can see Rome and Venice which one of the beautiful city in the world.Optional and Add-On tours unless mentioned otherwise Cost of USD 10,000 granted by the Reserve Bank of India under the Basic Travel Quota Scheme. Any increase in the airfare / taxes / routing charged by the airlines for ticket Airline and Hotel surcharges (if applicable) during high / festive season to be paid extra per person. Medical test and Premium cost of your Travelltag / Assist with Insurance valid for passengers above 70 years of age. Anything not specifically mentioned in 'Package cost includes ' box. 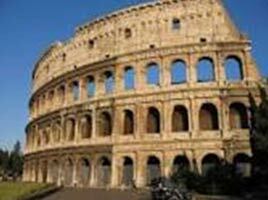 Arrive into the Eternal City Rome, On arrival at Rome airport a private car transfer will take you to your hotel in Rome Check-in at hotel. 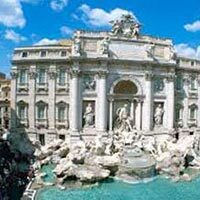 Evening take a tour, discovering the Eternal City. 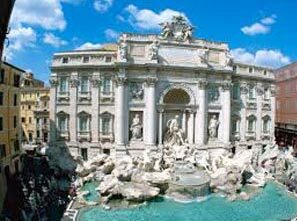 The Fountain of the Nayads, The admire the Roman Forum, the Colosseum, the Arch of Constantine and the Circus Maximus. Castel Sant'Angelo, St. Peter's, Porta Flaminia, Via Veneto, Piazza Navona, Trevi Fountain. Return to your hotel. Breakfast in the Hotel. 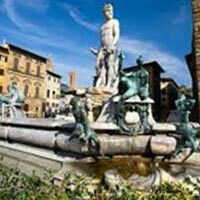 After breakfast, the tour begins by through Piazza Della Repubblica with the Fountain of the Nayads the Aurelian walls which once surrounded the ancient city . En route you will see the famous Villa Borghese Park, Piazza del Populous where you will see an Egyptian obelisk. 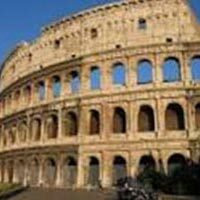 On arrival at the Vatican walls, your guide will lead you into the Vatican museums and Sistine Chapel (entrance ticket included) . Finally we go inside St. Peter’s Basilica. The rest of the day is free as you wish. Return to your hotel. After breakfast in the Hotel. 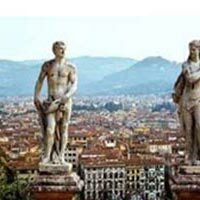 You precede to the Florence which is one of the most beautiful and ancient cities in Italy and the world. Check-in at hotel, In the afternoon A splendid excursion through the fertile and picturesque Tuscan countryside to the historic university city of Pisa, famous for its architectural beauty. 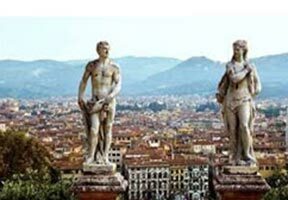 Upon arrival in Pisa, guided walking tour of Piazza dei Miracoli, with the celebrated Leaning Tower, the Baptistery and other important monuments. This is followed by a visit to the interior of the Cathedral. Back to Florence. Evening at leisure. Breakfast in the Hotel. In the morning departure to Venezia, the Queen of the Adriatic sea. For a thousand years the city was one of the most enduring mercantile sea powers on the face of the earth. Check-in at hotel. In the evening take a Gondola ride. Enjoy floating along the canals of Venice. 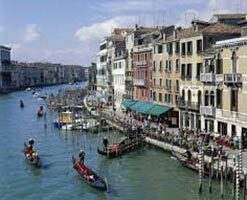 Be captivated by the glamour and elegance of the city and its magnificent palaces and churches facing the Grand Canal. 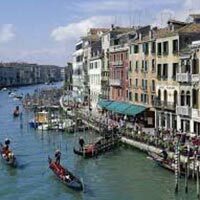 Walking tour of the area between Piazza San Marco and the Rialto Bridge, passing through la Fenice Theatre, Scala del Bovolo, Ponte di Rialto. The visit does not include an explanation of the St. Marks square. At the end of the visit on foot, embarking on gondola and 35 minute ride along Grand Canal and minor channels. Overnight at any goof hotel. Today after breakfast, proceed to Alilaguna's Pier at St. Marks waterfront, embark on a motorboat and visit the Island Murano, where one can watch the antique art of making glass. Then one proceeds to the characteristic Island of Burano, with its strong colours and light contrast, fisher island and renowned for the lace making. Last Island Torcello with its old Cathedral and its atmosphere of remote Venetian past. Return to St Mark's Square. Breakfast in the Hotel. In the morning departure to the Venice airport. Optional and Add-On tours unless mentioned otherwise Cost of USD 10,000 granted by the Reserve Bank of India under the Basic Travel Quota Scheme.